The Authorities of Joint Admission Matriculation Board JAMB has advised all UTME Candidates to download her official UTME and Direct Entry Registration mobile application which has been updated to outfit students’ choice. According to the board the Mobile App is a must that all students gets it installed in their device to help them access all online services at their convenience. This application provides an easy and intuitive access to JAMB UTME and Direct Entry Registrations. 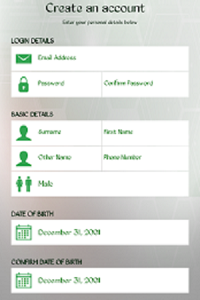 Every user (candidate) must create an account (profile) before registration form can be filled. You will have to vend a PIN from any of the authorized banks before you can continue to fill the form. You are required to visit any JAMB Accredited CBT Centres to complete your registration including capture of Ten (10) fingerprints and passport photograph.